Add attached string or wire? Easy to use tear-off stubs indicate cylinder's status at a quick glance. 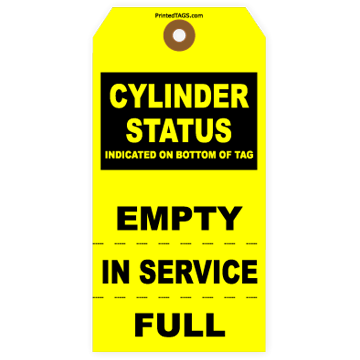 Featuring easy to use tear-off stubs, this tag indicates the cylinder status at a quick glance. 13pt. tag stock provides a durable and economical material option. 13pt. 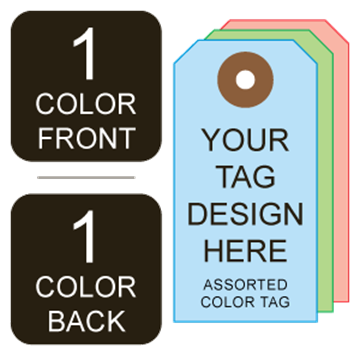 (175#) bright yellow tag stock. Tag size: (#6), 5-1/4" x 2-5/8"
Fiber patch reinforcement to prevent tearing. Prints same copy in black ink on both sides.